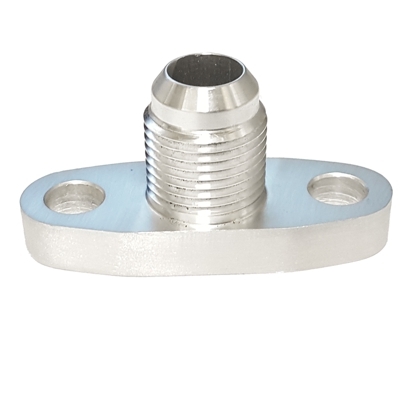 Oil return (oil drain) flange with integrated -10 AN/JIC male flare. One piece design for easy installation. Made from billet T6061 aircraft aluminum.